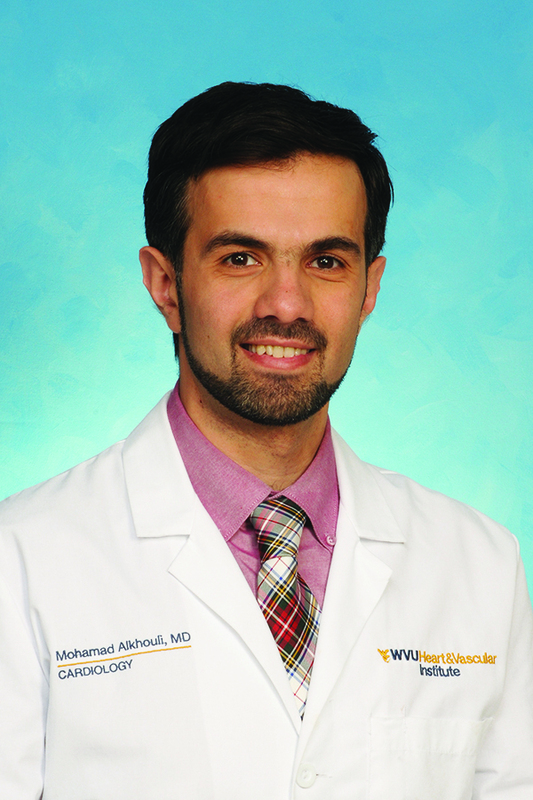 MORGANTOWN, W.Va. – The WVU Heart and Vascular Institute was a leading site in a national pilot study assessing a new treatment for patients experiencing a myocardial infarction, or heart attack. The door to unload (DTU) trial was presented yesterday (Nov. 11) as a late breaking clinical trial at the American Heart Association Scientific Sessions 2018. Led by Naveen Kapoor, M.D., at Tufts Medical Center, the DTU study assessed the safety and feasibility of implanting a percutaneous heart pump device to unload the heart prior to opening the blockage responsible for the heart attack. The study focused on patients with heart attack because of a blockage in the left anterior descending artery, a type of heart attack that often leaves a lasting health burden on the patient. Traditionally, patients who are admitted for a heart attack immediately receive a stent to open the artery. Despite this intervention, many patients suffer significant reduction in heart muscle function and are more vulnerable to heart failure because of the significant overloading of the heart at the time of the heart attack. The DTU study examined the outcomes of the unloading the heart with the Impella device before opening the artery with a stent. The WVU Heart and Vascular Institute had the second highest enrollment with five patients out of a total of 50 enrolled in this pilot study. The study, “Mechanically Unloading the Left Ventricle and Delaying Reperfusion in Patients With Anterior ST-Segment Elevation Myocardial Infarction: STEMI Door-to-Unload Pilot Trial,” is published in Circulation, a leading journal in cardiovascular research in the United States.